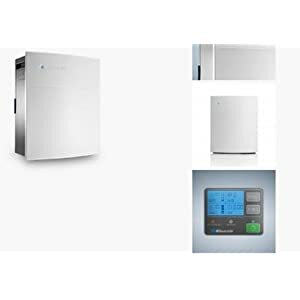 Innovated with love in Sweden, the blueair 270e is small in size but big on delivering quiet and efficient air cleaning for rooms up to 240 square feet using powerful hepasilent technology with additional features of having the power to control your indoor air quality with a handy remote control and digital display. Control your air by simply push a button on the remote. 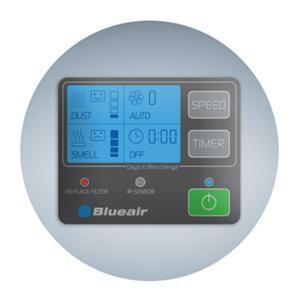 Or better yet, set your blueair unit on auto mode and let it regulate the speed according to the actual amount of particles and gaseous contaminants present in the air. The faces on the digital display indicate the status of your indoor air quality. When running the blueair 270e units on the lowest setting, blueair’s hepasilent filtration technology captures 99.97% Of all particles down to 0.1 Micron in size. Small in size, but big on delivering quiet and efficient air cleaning. 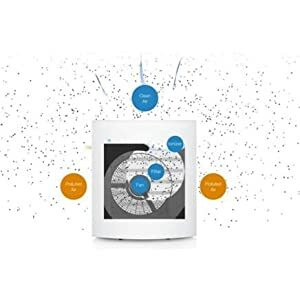 This air purifier for small rooms makes operation easy and convenient. Its digital display enables you to see and control the air you breathe to make sure it’s virtually free of allergy or asthma triggers.